An AAA study reveals the top three mistakes new teen drivers commit while learning how to drive. The mistakes are speeding, distraction, and poor visual scanning. According to the AAA, teen drivers were involved in approximately 14,000 fatal crashes over the past five years. In its survey, 142 driving instructors identified the top mistakes they see teen drivers make during the learning-to-drive process. In the top spot is inadequate visual scanning (14%), which is described by the driver’s poor visual lead and not anticipating risks. Next is inadequate speed control (11%), when teen drivers fail to maintain speed and drive too fast for the conditions. And on the third place is distraction/inattention (10%) – teen drivers are not focused and multitask when driving. Other common mistakes include poor braking technique, not checking for traffic, poor turning technique, lack of decorum, poor spatial judgment, lack of practice, and lack of knowledge of rules of the road. The survey further showed that most driving instructors believed that teens today are worse drivers than they were 10 years ago. Such perception is attributed to more distractions, lower desire for licensure, not enough practice, and lack of parent involvement. Motor vehicle crashes are the leading cause of death among teens in the U.S.
1 in 5 16-year-old drivers get involved in an accident during their first year of driving. The fatality rate for teen drivers age 16 to 19 is four times that of adult drivers, age 25 to 69 years. Half of teen drivers report driving 10 miles per hour over the speed limit at least sometimes. In 2014, 270 teens in the U.S. age 16 to 19 were killed in motor vehicle crashes. Also in the same year, 50 percent of teen deaths from motor vehicle accidents happened between 3 p.m. and midnight, and 53 percent occurred on Friday, Saturday, or Sunday. 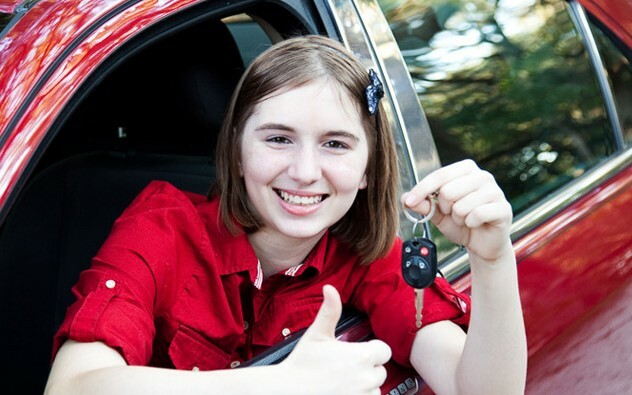 Statistics provide that 56 percent of teens rely on their parents to learn how to drive. This gives a clear message to all parents – that we should set good example to keep teen drivers safe on the road. As a Kentucky Accident Attorney and as a parent too, I encourage all parents to embrace proper driving habits and behaviors to help teens protect themselves and others on the road. Teens don’t have to take the responsibility alone. Parents can help them find ways on how to drive safely. Teen drivers, on the other hand, should listen to their parents. Every time you hit the road, always stay focused and follow traffic rules.